The party took place in their cute background with a rustic theme that had pops of colour but a elegant, laid back feel. 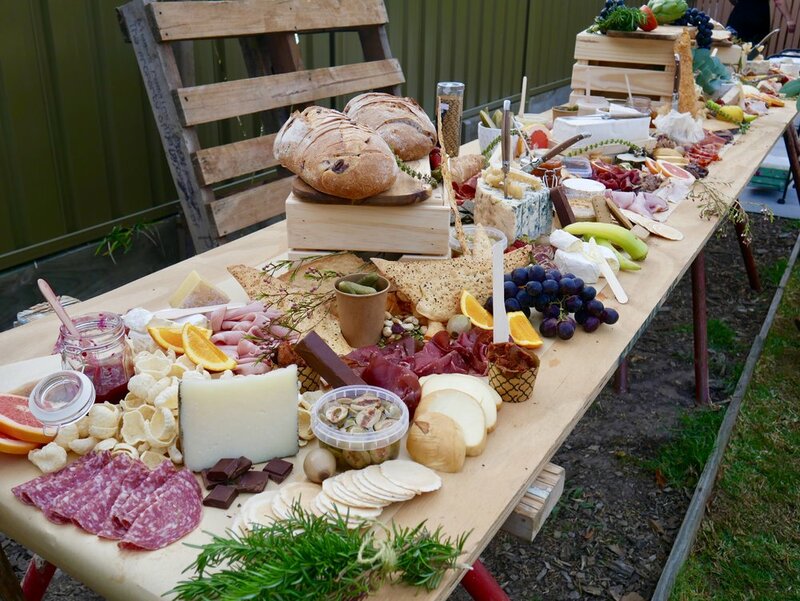 Mel wanted her guests to be WOWed on arrival by the grazing plank with it offering every mouthwatering antipasto piece the heart desires. The table was old horse show trestles and we used wild flowers and green bush plants to follow on the back yard feel. Each section of the plank was created with a eye catching piece, being the whole salmon, piles of bread, 3 kilos of gorgonzola, dropping grapes and a 1 kg Will studd Washed Rind which was stunning. Thanks to Mel for having the trust in us to create the magic and let us create a spread that not all looked incredible but tasted amazinggg. Now enjoy the feast of images below.